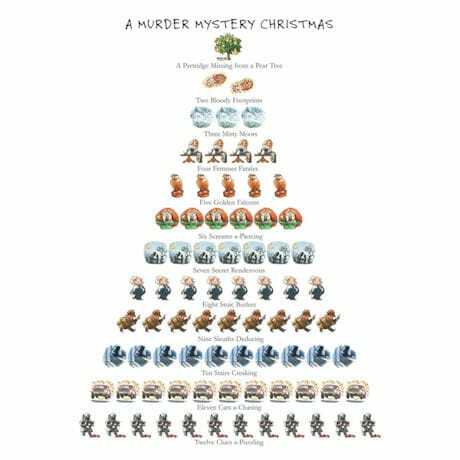 A witty riff on "The Twelve Days of Christmas," this card from artist David Price suggests gifts any true lover of mysteries would appreciate: six screams a-piercing, nine sleuths deducing, eleven cars a-chasing and more. Each is printed inside with "Have a bloody good Christmas!" 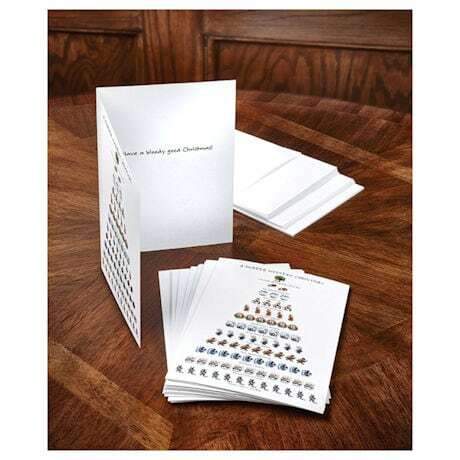 Box of 15 5" x 7" cards with envelopes.